Wabi Sabi is a Japanese aesthetic that grew out of Zen tenets that believe we are all connected to nature and earth in profound ways. Wabi Sabi is bits of leaf and bark, feather, leaf skeleton, stones, petals, seeds, textures, weathered wood, wild flowers, handmade papers. Sitka offers the perfect setting for wabi sabi. Immersed in sense of place, and using acrylics, we will hand paint Japanese washi papers to recreate these textures found in nature. 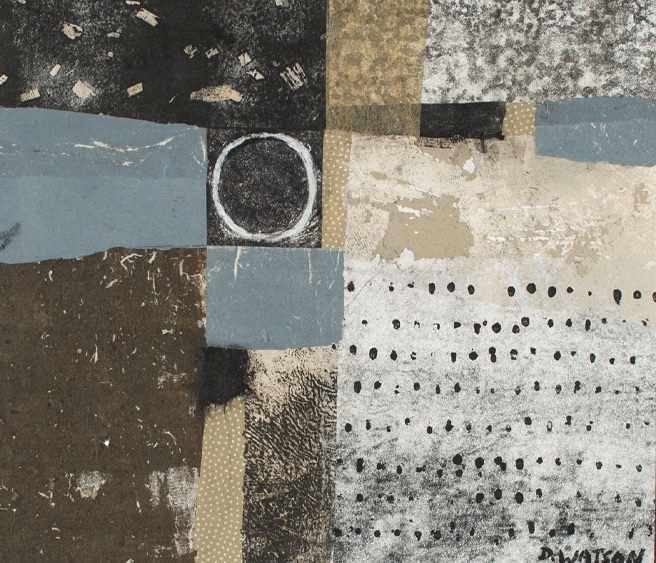 Donna Watson, a NW mixed media collage artist, is inspired by nature and her Japanese heritage. She has traveled all over the country teaching workshops on collage, creativity and personal expression. She has won numerous awards, exhibits in galleries and is published in magazines and books including Masters Collage: Major Works by Leading Artists (Lark).